kris dot scot: Right, Where Were We? Okay, so I've been a bit preoccupied of late what with the two elections back to back, and this blog has ended up falling completely by the wayside. When I started up this new blog, part of the idea was to record what I'm getting up to since moving back to Scotland way back at the start of March. Well, the first two months ended up being absorbed up with fighting elections (delivering leaflets for the most part) and not very much else at all. I don't really plan on saying anything else on the election results right now, I've tweeted about it a lot anyway, and I want to start moving on now to other things. Elections aside, the biggest thing that’s happened here personally is moving house once again, back out from the parents and into a home of my own – the first time I’ve ever bought rather than rented. It’s nice to have my own space again, and it’s nice to reach the culmination of that three years working away down in Walsall to save up the deposit to do this. I’ll probably talk more about the flat another time, but I’m just getting settled down into it now, and it’s starting to feel like home. Looking forward, I’m now thinking about what I want to do and to achieve over the coming summer. 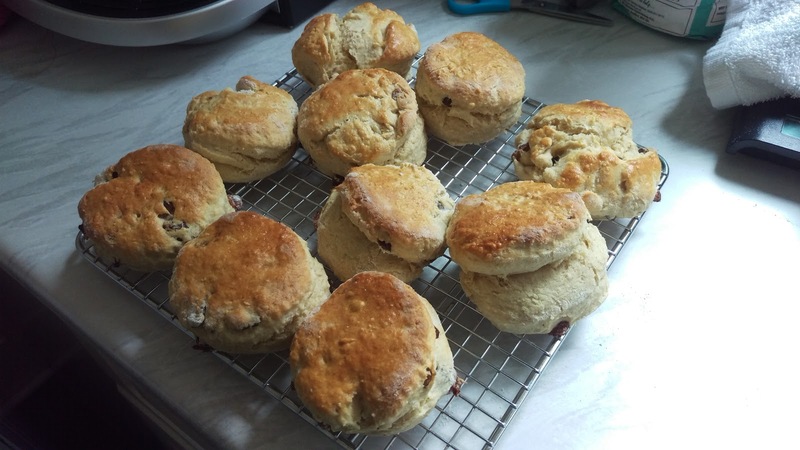 One thing I’ve leapt straight back into since moving again is baking, with a batch of scones and a loaf of bread already done (pictures below). I haven’t done much baking in a very long time, due to recent houses having ovens that were too small, or not working well, and it’s a hobby I’m very eager to get back into. 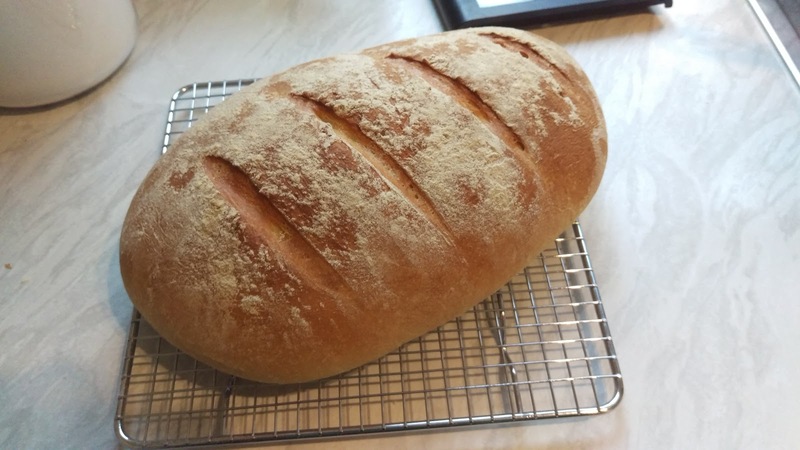 Expect blog posts in the near future on baking results. If this ends up happening a lot, I might spin it off into a separate blog. Another thing I’m aiming to pick up again is photography. I found my old digital camera during the house move, with the last photos taken dating from when I still lived on the Isle of Bute (2013/14) so that’s something else I really need to get back into. Again, expect some photos up here, or I may spin them off into a separate site. I particularly want to get back into birdwatching again, and have found my good pair of binoculars, so again something that should be coming up soon. Otherwise, I think the main priority for the summer is going to be getting out back across Scotland again. Since moving back, I’ve not really been anywhere yet outside of East Kilbride, East Renfrewshire or Glasgow. I really want to get back out to the Clyde Coast, and I particularly want to go pay Edinburgh a visit soon, since I haven’t been out that way in three years. I still haven’t been on an Edinburgh Tram despite enduring three years of tram-works the whole time I was at university through there! Why Are Glaswegians Not Using Buses Anymore?